I wish it was as easy as finding the next Miguel Cabrera, but, sadly, Miggy’s don’t grow on trees. And they almost never jump from first base trees to third base trees. With apologies to MVP underdog Josh Donaldson, third base was fairly predictable in 2013, with the usual suspects at or near the top. There were some busts (Chase Headley, Lawrie and Pablo Sandoval immediately come to mind), but overall it was a successful year for the gloved men at the hot corner. The names you are about to see are my favorite third base targets in dynasty formats. Each is owned in less than 25 percent of ESPN leagues and they are listed in order of ownership, from highest to lowest. Author’s note: You won’t see Nolan Arenado listed below because I’ve already talked about him here, but I really, really like his upside in Colorado and consider him a worthy stash. The Dynasty Guru’s own Andy Barnes wrote about Moustakas a month ago, so I’ll try my best not to overturn the Moustakas bandwagon. For two years running, the 25-year-old has been a popular sleeper in the fantasy baseball community. And for two years he’s been a bust. On the season, Moustakas has hit an uninspiring .231/.285/.357 with 11 home runs, 40 runs and 41 RBIs in 500 plate appearances—after smacking 20 home runs and collecting 73 RBIs in 2012. So what’s gone wrong for Moustakas? Well, for one, his .255 BABIP is among the lowest in baseball, as only nine players have a worse BABIP. A career .282-hitter in the minors, I fully expect Moustakas’ batting average to rebound in 2014. He’s shown huge improvements at the plate with a 16-percent strikeout rate, down from a 20.2-percent rate in 2012, and his contact rates are all improved and well above the league average. Unless the Royals and every other team give up on him, you can’t give up on a player of Moustakas’ pedigree. His power is a real question mark right now, but just one year ago he looked like an annual 20-25 home run threat with the upside of 30. I remind you: Eric Hosmer had a hellish season of recent memory that was fueled by an eerily similar .255 BABIP and he rebounded just fine. There’s always room for one more Moose Taco—don’t give up on him yet. On Aug. 20, TDG and Ben Carsley celebrated the major league debut of Bogaerts, the Red Sox top prospect, according to Baseball America, Baseball Prospectus, FanGr EVERYBODY. I swear I’m not trying to copy my peers’ work with my first two recommendations, but, with a 3.3-percent ownership rate in ESPN leagues, I’d be cheating dynasty league owners if I didn’t re-suggest picking up Bogaerts, who could compete for a top-10 finish at third base as soon as 2014. Spending the majority of his time at the hot corner, Bogaerts, who is listed as a shortstop in ESPN leagues, will gain eligibility at third base next season in the vast majority of leagues. And with Will Middlebrooks showing he’s a shaky-at-best everyday third baseman, Bogaerts should continue to carry the third-base tag in subsequent seasons. At his peak, the almost 21-year-old could hit .300 and top 30 home runs while batting smack-dab in the middle of Boston’s lineup. For 2014, temper expectations (as always), but be aware that he carries as much upside as Manny Machado did entering 2013—just don’t expect him to be Machado. Bogaerts should be owned in all dynasty leagues (duh) and he should be owned in keeper leagues with six or more keepers. I am fully aware that Bogaerts is probably long gone in the majority of competitive leagues and Moustakas is a household name, so enter Davidson, who was recently called up by the Diamondbacks as the team looks to the future. Davidson, 22, has displayed plenty of pop in the minors, blasting 23 home runs in 575 PAs in Double-A and, most recently, 17 home runs in 500 PAs in Triple-A. In his big league cup of tea (I’m trying to wean myself off drinking too much coffee), Davidson has shown promise with a .250/.351/.453 slash, including three home runs and four doubles in 64 at-bats. Listed at 6-foot-2 and 225 pounds, Davidson is a big kid with a big swing, as evidenced by 616 strikeouts in 591 minor league games. He offsets it, however, with a solid walk rate—he has nine walks against 19 strikeouts in his first 27 games with Arizona. Pending any offseason moves, Davidson will have a chance to win the third base job in spring training and he’s a worth the speculation add as a potential corner infield play. In a perfect world, he can give you 20 home runs while maintaining a .250 BA to go along with a plus on-base percentage. Who do you think has the better 2014 outlook: Semien or Asche? 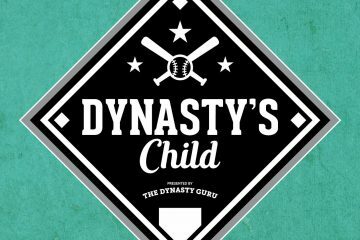 Jackie Bradley a better real life player than fantasy, worth my time? Wow, that’s a great question. Both offer 15 HR upside with double-digit speed, but I lean toward Asche. It’s his job to lose in Philadelphia, and Semien — albeit a very small sample size — has some serious work to do (18:1 K:BB ratio in 18 games). Asche should be owned in just about every dynasty league. Bradley makes a good trade chip, as his name still carries plenty of value. He’s BA and SB dependent in the fantasy world, so, yeah, I think your assessment isn’t far off.